Products to help instill some calm and balance into your life, even on your most chaotic days. These days, it’s easy to feel bogged down. The holidays, work stress and worries about the world can weigh heavily. Add to that the daily list of chores, and suddenly you start to wonder how you’ll be able to do it all. It’s in times like these that it’s important to practice self-care. Here are some products that can help instill some calm and balance into your life, even on your most chaotic days. Take 10 minutes at home to relax and revitalize; the investment of time will bring big rewards. Barefoot Dreams CozyChic Robe ($99 at Nordstrom). Give yourself a brief respite from the daily grind and slip into something cozy. This microfiber robe comes in nine muted, soothing shades and doesn’t shrink or pill, even after multiple washes. 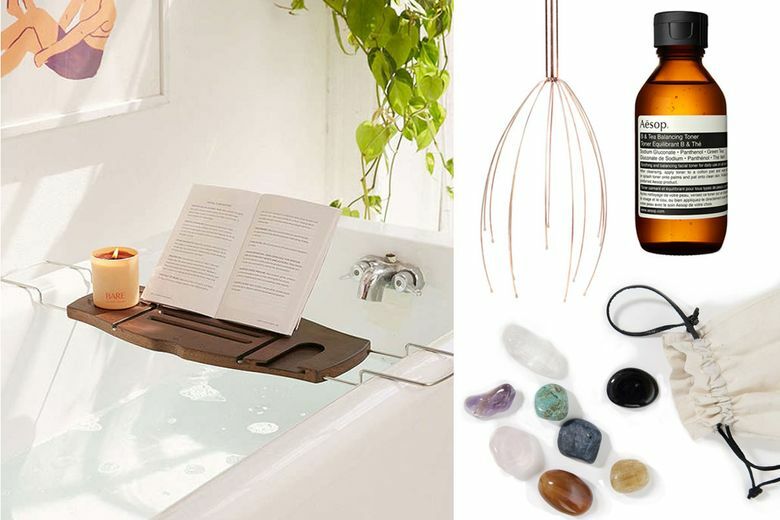 Umbra Me Time Bath Tray Caddy ($49 at Urban Outfitters). Turn your bath into a relaxing escape with this sustainable bamboo tray that has enough room for a glass of wine and a good book. Lush Star Light Star Bright Bath Bomb ($9 at Lush stores). It’s impossible not to feel optimistic as bright turquoise, pink and purple bubbles stream out of this silver bath bomb. Almond oil softens and moisturizes skin, while ginger, lavender and lime oil provide a boost of energy. 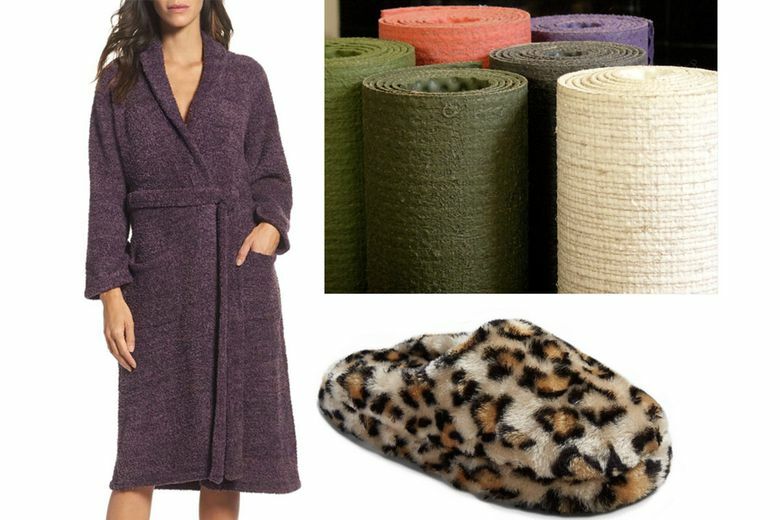 Sonoma Lavender Siberian Leopard Neck Pillow ($44 at Nordstrom). 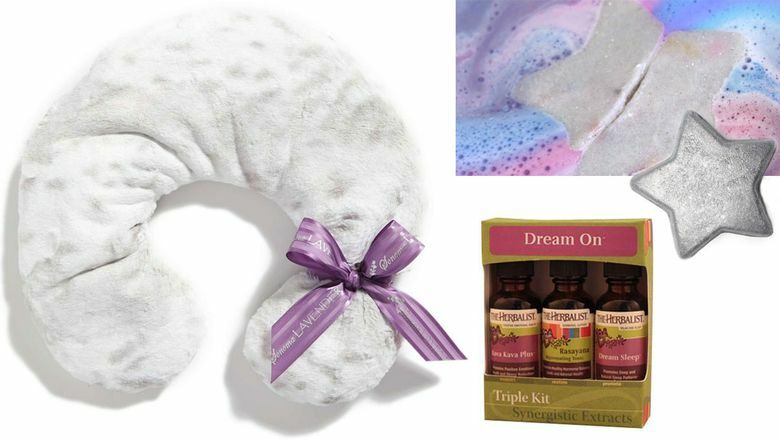 Pop on a sheet mask and relax for a few minutes with this luxe, lavender-scented neck pillow. The faux-fur cover can be removed and the insert can be microwaved or chilled for soothing effects. Dr. Dennis Gross Skincare Pro Facial Steamer ($139 at Sephora). Create a soothing facial experience at home with this effective device that delivers micro-steam technology to unclog pores while refreshing and relaxing tired skin. Aesop B & Tea Balancing Toner ($35 at Aesop stores). Stress can wreak havoc on your face. Restore balance with this moisturizing, alcohol-free blend enhanced with B5, anti-oxidants and a calming scent. Urban Float ($89 for a Standard Single Float, Fremont and Capitol Hill). Need more than an at-home bath? Head to Urban Float and let your worries melt away as you relax in a private pod filled with Epsom salt and purified water. The sensory deprivation and feeling of weightlessness also relieves everyday aches and stress-related pain. Plan little moments to take a deep breath and destress during the day. MarketSpice Breathe Deep Tea ($7 at Market Spice, Pike Place Market). Start the day with this soothing, jitter-free blend of eucalyptus, mint, licorice root and honeybrush to clear the sinuses and sooth sore throats. Kikkerland Head Massager ($5 at amazon.com). Take a micro-break at the office with this nifty handheld scalp massager in chic copper that is both relaxing and stimulating. Original Eco Mat ($90 at barefootyoga.com). Take a more active approach to stress-relief with a mid-day yoga break. This durable mat is made entirely of all-natural rubber and jute fiber for eco-friendly support. 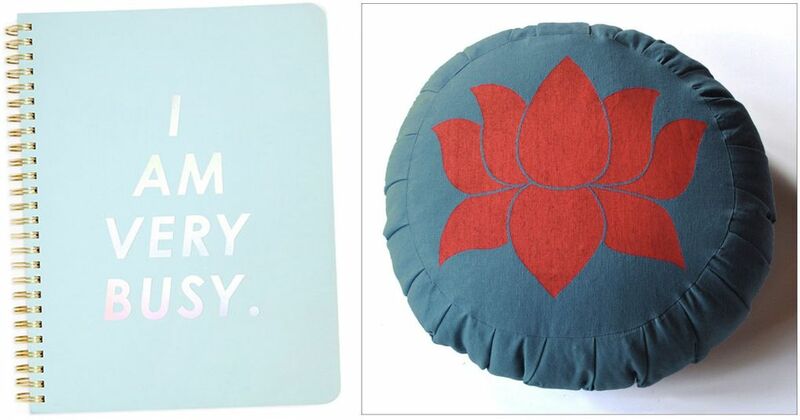 Barefoot Yoga Lotus Zafu ($50 at barefottyoga.com). Start or end your day with a few minutes of meditation. Designed with a colorful lotus flower, a symbol for new beginnings, the elevated seat makes sitting meditations more comfortable and relaxing. The Herbalist Dream On Triple Kit ($38 at The Herbalist, Capitol Hill). A triple threat of tonics for the promotion of rest, stress reduction and hormonal balance, this locally made set will have you sleeping like a baby. While on a trip or on the bus, these little aids will help you feel more at peace. 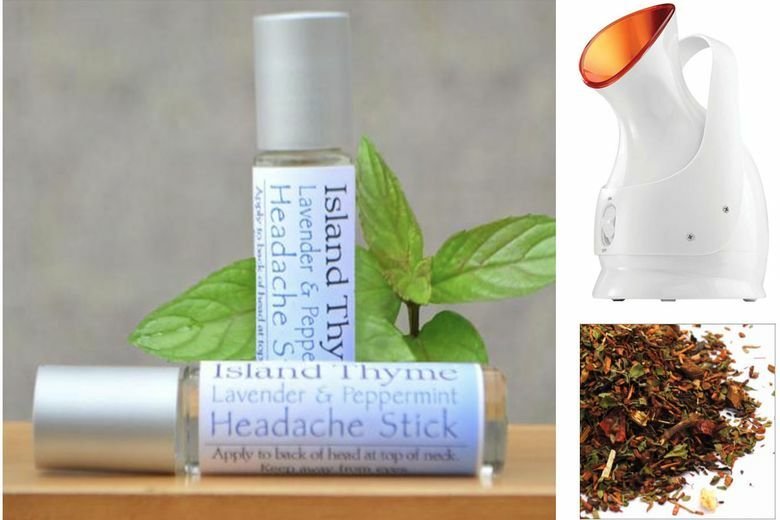 Island Thyme Lavender Peppermint Headache Stick ($10 at islandthyme.com). Roll on this locally made, all-natural stick to ease your mind with the natural painkilling properties of lavender and peppermint essential oils. Mossimo Cordette Plush Scuff Slippers ($10 at Target). Make any hotel feel a bit more like home by slipping into these comfy, cushy slippers. The Goop Medicine Bag ($85 at goop.com). Whether you believe in the power of crystals — or simply in their power to make you more mindful — this set is a fun way to carry a little positivity on the go. It includes eight stones, including rose quartz to encourage self-love, clear quartz to improve intuition and amethyst to absorb negative energy. Ban.do I am Very Busy Rough Draft Mini Notebook ($12 at bando.com). Sometimes the best way to get anxiety out of your system is to simply jot down your thoughts. This compact notebook can go with you anywhere and the cheeky cover will make you smile (sometimes the best stress reliever of all).